After a one-season hiatus, NHL alternate uniforms are slated to reappear this fall. We’ll get our first peek at some of them tonight, when at least two teams, and possibly more, will unveil their new alts at their NHL draft parties. With that in mind, I’ve done an ESPN Friday Flashback piece about notable alternate uniforms in NHL history (including the Kings’ infamous “Burger King” design, shown above). Check it out here. As for tonight’s unveilings, I’ll have a review of at least one of them shortly after 7pm Eastern over on ESPN, and Phil will have additional coverage here on the blog tomorrow. Coolest thing ever: Yesterday I received a package in the mail. 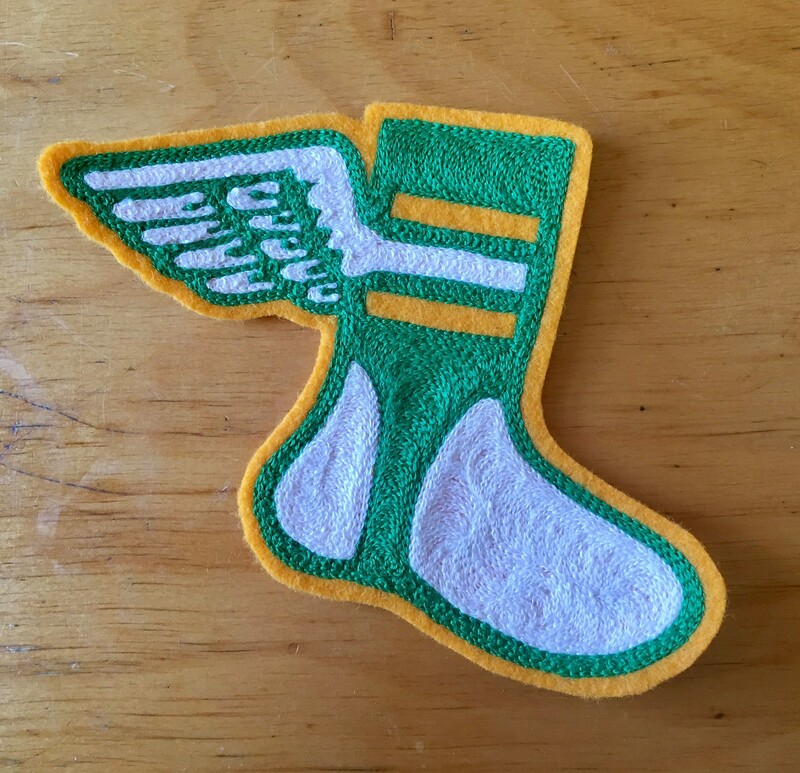 Inside was a chain-stitched version of our winged stirrup logo. I didn’t order this or ask for it to be made. The person who made it just thought I’d like to have it. How cool is that?! I’ll have more to say about this shortly. For now I’m just super-thrilled to see our logo rendered in chain-stitching. Baseball News: Mariners 2B Dee Gordon Gets It™ (from @GoatJerseys). 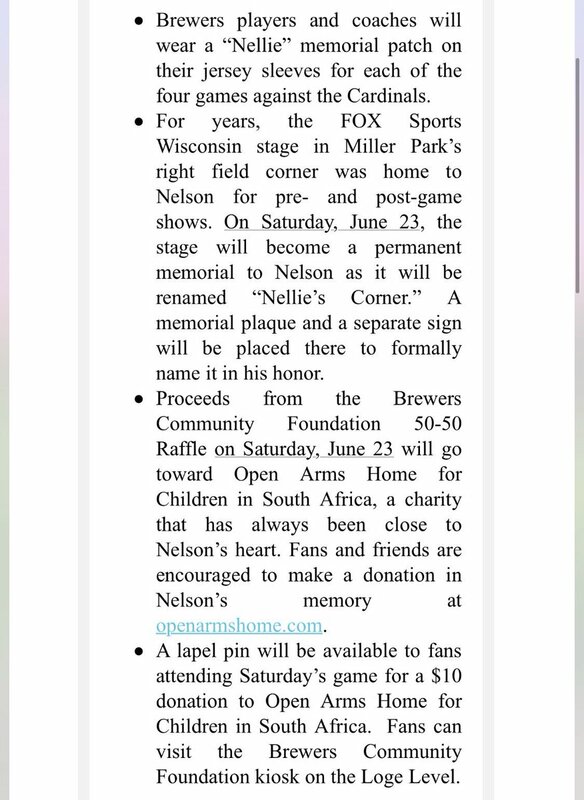 … The Brewers will wear a sleeve patch this weekend to honor late coach and broadcaster Davey Nelson (from Garrett). … The Astros gave out replica World Series rings at Wednesday night’s game. These look really good (from Mike Gongre). … The Fresno Grizzlies wore Coming to America jerseys last night (from David Taub). … The Corpus Christi Hooks also in different jerseys last night, as they played as the Blue Ghosts (from @NikolaiPopuski). … The Lansing Lugnuts will wear Harry Potter jerseys tomorrow night. … The Greenville Drive will play as the Energia four times this season, beginning tomorrow (from Charles Wendt). … It’s Star Wars night for the Lakewood BlueClaws on June 29 (from John McMunn). … A beer salesman at the Buffalo Bisons games named “Conehead” is getting a beer named after him. … “Tincredibles” jerseys tonight for the Ft. Wayne TinCaps. … Ichirio Suzuki sat on the Mariners’ bench last night while wearing a fake mustache. 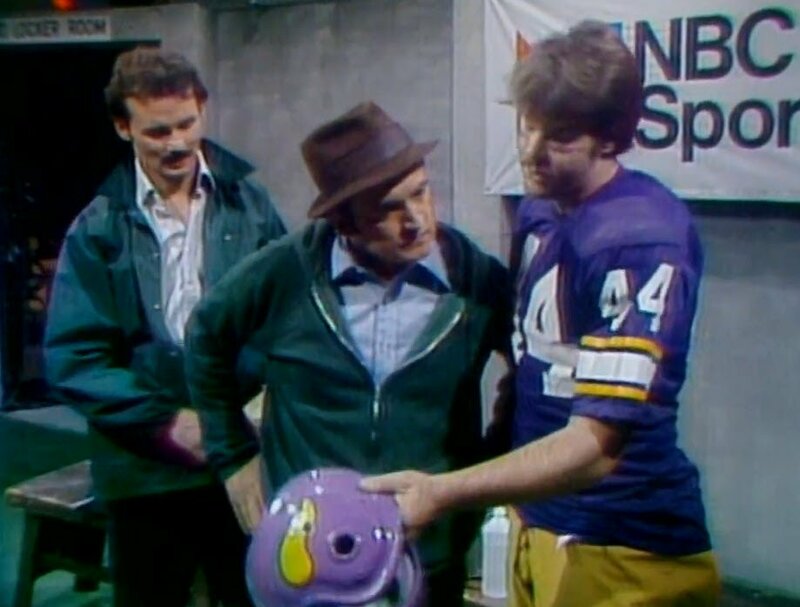 NFL News: When Vikings QB Fran Tarkenton hosted Saturday Night Live in 1977, we had some notable uni moments. The episode featured knock-off Vikings jerseys, and show-themed football uniforms (from Pro Football Journal). … Speaking of Vikings quarterbacks, here’s a shot of Warren Moon wearing No. 2 in the 1995 Pro Bowl, instead of the No. 1 he wore his entire career. Hockey News: It appears that EA Sports has been using the wrong uni font for the Hurricanes in their NHL games since 2013 (from Alex Jones). … The SPHL has a new team, the Quad City Storm (from Bus League Hockey). … This is an awesome pencil case/money holder (from Michael Marniniello). 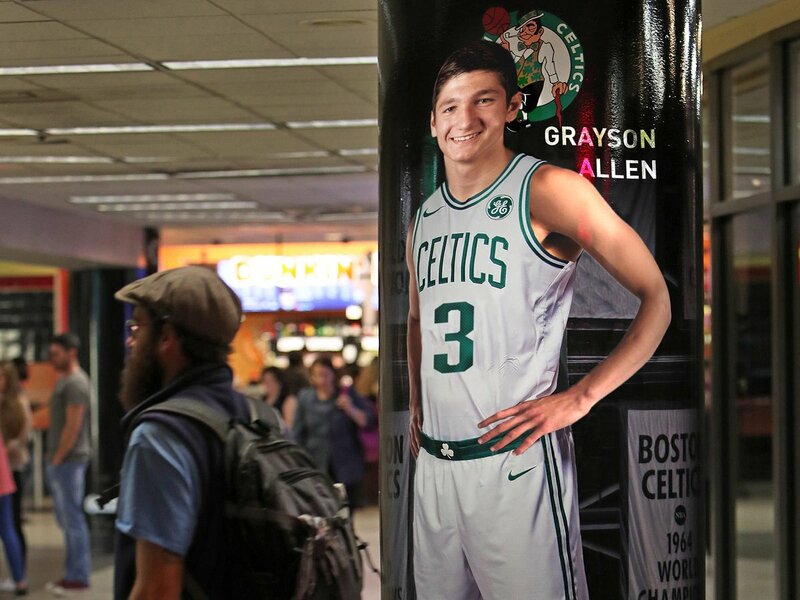 NBA News: An ESPN photoshop created before the draft put Grayson Allen in an incorrect font No. 3 Celtics jersey, which was retired in honor of Dennis Johnson in 1991 (from JayJayDean). 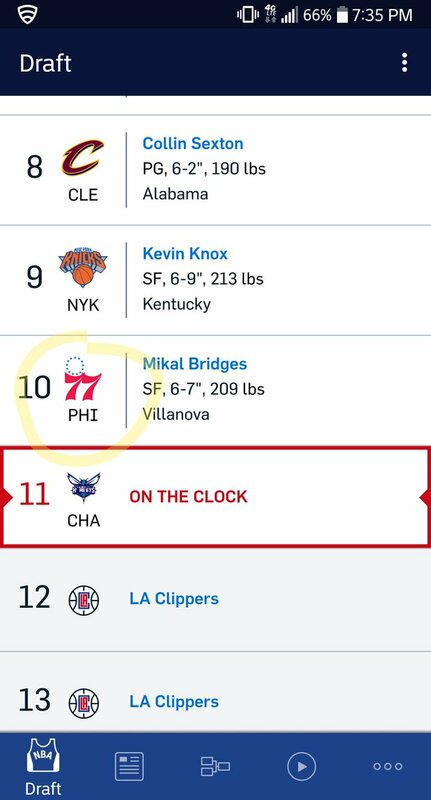 … I must have missed the 77ers drafting last night (from Jason Costigan). … Here are the uni numbers that some of last night’s draftees will be wearing for the Celtics, Cavs, and Mavs (from Mike Chamernik). … Although no official announcement has yet been made, the Grizzlies appear to be tweaking their logos. Soccer News: In case you were wondering, this is why World Cup players show officials their underwear (thanks Phil). … FIFA has refuted claims that a World Cup referee asked for a Portugal player’s kit after a match on Wednesday. … The upcoming Brazil and Costa Rica match will feature both teams in away kits due to their shirts clashing (from Josh Hinton). … Why can’t you buy an Australia kit with the official crest? The Australian Soccer Federation doesn’t allow its logo to be used on merchandise, only the official jerseys (from Ryan Keberly). Grab Bag: You can vote on your favorite Dallas high school logo in this bracket-style tournament (from Matt Upton). … Window washers at Akron Children’s Hospital dressed up like superheroes (thanks Jim Vilk). … Lots of chatter last night and this morning about Melania Trump’s “I Really Don’t Care. Do U?” jacket. 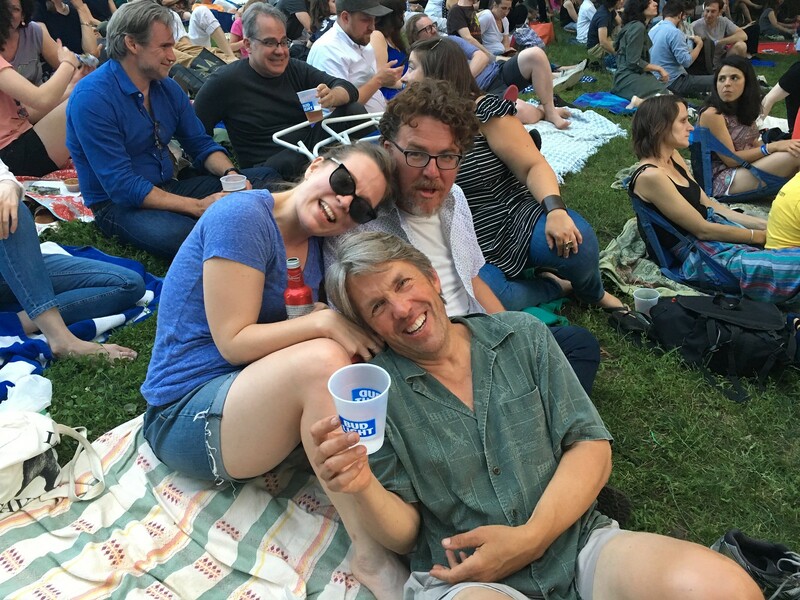 What Paul did last night: Had a really good time at last night’s Superchunk/Aimee Mann show in Prospect Park. Arrived early, had a swell picnic with the Tugboat Captain and our friends Rob and Jamie (the latter of whom is the author of the definitive travel tome Road Trip USA, don’tcha know), bumped into other friends — a great night. Would love to buy one of those Uni Watch logo patches if it is ever made available for sale. That chain stitched uni watch logo is amazing. Wish more MLB teams would go chain stitching like the Phillies. And Dee Gordon looks glorious. If only all players wore the uniform properly like him. The chain-stitched UW patch sure is amazing! But on the Phillies, I wish they’d ditch the chain stitching. For big blocks of flat color, like the Phillies script, layered tackle twill will usually look better, and it will also work better in functional terms. Chain stitching shines in designs with finer detail like multi-color logos or narrower lettering. Like this UW patch, or the Cardinals script. If anything, the Phillies should have tackle-twill script with chain-stitched blue stars. Why does Dee Gordon “get it”? Yes, he wore those beautiful stirrups, but I think he doesn’t get it unless he wears them every game. 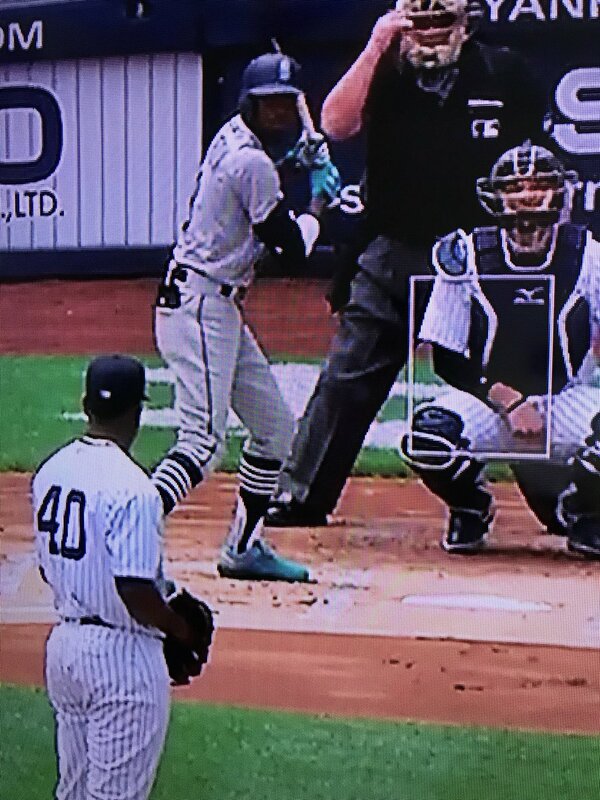 Stirrups are part of the baseball uniform and the people who truly get it are the ones who wear it every game like Francisco Lindor, Chris Taylor, and Paul Sewald. He does play every game I’ve seen him play high cuffed. Even a quick google image search shows him in his Miami Marlin days high cuffed. RE: Warren Moon wearing No. 2 in the 1995 Pro Bowl…. Maybe Jason Elam (Broncos kicker) got No.1. ??? Oops! I have Moon so ingrained in my brain as an Oiler I completely geeked that one!! What Pro Football reference lists as the 1995 Pro Bowl was held in 1996. It was for the 1995 season. Redskins P Reggie Roby wore #1 that season…maybe he had seniority? Blink and you’ll miss it (Roby @ the 0:03 mark). Also a few other unusual number assignments. I would guess Roby did have seniority. Per Wiki, Roby was drafted in 1983. Moon was not drafted in 1978, did get a free agent deal and so went to the CFL. He then decided to come to the NFL in 1984. It occurs to me that that’s the 24th match of the World Cup. 20 have been color-vs.-white (or predominantly white) matchups, and two of the other four were dark blue-vs.-yellow (France-Australia and Colombia-Japan). The only matches that fit neither of those categories was the opening match, which was red-vs.-green, and Brazil-Switzerland, which was the apparently not allowed yellow-vs.-red. Wonder what FIFA’s thinking is. Most Teams have white as their change kit this cycle and the majority of teams have red as their main jersey color. Also usually they have each team wear their change kit at least once during the group stage because of “clashes” but really its to up the merchandise sales. Now that international teams change their kits every two years they got to promote them somehow. It really is frustrating to see two teams who could easily both be wearing their traditional kit not doing it. Croatia’s red/white checkerboard v Argentina’s sky blue/white stripes should have happened. Thanks, FIFA. There’s no logic to FIFA. A couple days ago, Brazil played in yellow against Switzerland’s red. In 2014, Brazil played in yellow against Croatia (red and white checkerboard), Mexico (red), Cameroon (green), Chile (red), Colombia (red), Germany (red and black stripes) and Netherlands (blue). Based on what happened to Australia-Denmark (it was going to be yellow-red before it became green-white), my crackpot theory is that someone new at FIFA saw Brazil-Switzerland and decided yellow-red wasn’t going to be allowed again at this World Cup. For Australia-Denmark, apparently Denmark midfielder Thomas Delaney was a relatively uncommon type of color blind and would have had trouble telling the teams apart if it was red/yellow. This puzzles me that FIFA would force teams to change their kits for one person, especially since Delaney played in a red-yellow game in November 2015. https://www.gettyimages.com/license/497578900 Also, Delaney will play next season for Dortmund, whose primary home color is yellow so there will be future yellow-red games unless Bayern Munich and other teams decide to accommodate him. Have we seen anything from FIFA indicating Brazil’s yellow is a “clash” with Costa Rica’s red? I have seen a couple sites saying that FIFA isn’t allowing it because of a clash, but I haven’t seen anyone from FIFA actually say that. I personally suspect the change is more about ensuring all teams are featured in both kits than an actual clash. FIFA’s media releases section is a joke. https://www.fifa.com/media/all-media-releases.html I think the underlying issue with FIFA is that every country is equal. Sorry – but most of the world is not on par with Western Europe and South America from a footballing perspective. There is no security council that has veto power like Russia, China, France, Britain and America has at the United Nations. World Cup winners England, France, Germany, Italy, Spain, Brazil, Argentina, Uruguay and a few other nations should be running the show. There would still be problems regardless, but maybe we would get some more transparency like why kit decisions are made. Is it just me, or do the majority of matches seem to be red shirts & shorts (and probably socks, too) v white shirts & shorts (and probably socks, too)? So that’s 11 of 26 played to date, with at least one more slated for tomorrow’s 3 games. The Brewers started wearing the Nellie patch last night, looked nice. To expand on Brazil and Costa Rica wearing away kits, it may have also been necessitated because of the referees wearing yellow, forcing Brazil, the “home” team to wear blue. Costa Rica could have still worn red but it goes against FIFA’s (overbearing?) desire to have dark vs white matchups. Referees have a few more colors than yellow. Black, blue, red, and green are also available. The black would be perfectly distinguishable from red and yellow. Not strictly uni related, but I was watching the nhl awards and I realized how ugly most of the trophies are. Most NHL trophies, with the exception of the Stanley Cup, are really ugly. Hart, Vezina, Conn Smythe, all really bad-looking. Are there any other leagues that have this amount of horrible-looking trophies? They should consider going to an award template like the NFL to avoid this problem. Come on – the hockey awards are unique and have character! I love the Art Ross Trophy. The FIFA World Cup Trophy has to be one of the most poorly designed trophies in all of major sports – elementary students could do better. NBA’s Larry O’Brien Trophy looks like a ball on the rim of a trash can. I think the NFL’s Lombardi Trophy is best – bold and easy to hold. I agree that the World Cup trophy is horribly ugly. That being said, ugly and boring are not the same thing. The Larry O Brien trophy is boring, but I’d hardly call it ugly. I also love the Lombardi trophy as it is simple, bold, and iconic. Hockey award trophies themselves are iconic. Can’t change these trophies now. Hart Trophy actually looks pretty good in my opinion. The Web Ellis Cub for the Rugby World cup is pretty good and classic look. The Calcutta Cup (England v. Scotland) is quite interesting as well. Best thing is, for Rugby, they all look like competitive trophies, not like an art project gone bad. I like the classic, old timey look of the Kentucky Derby, Preakness and Belmont Stakes trophies. The new Triple Crown trophy, not so much. It’s not every team that can take a terrible third jersey and follow it up a few years later with an even worse third jersey, but the Islanders somehow managed. Of course, it was the team’s infamous fisherman design, but that was a primary uniform, not an alternate, so it doesn’t qualify for this list. What “was the team’s infamous fisherman design” referenced in the second sentence? Was it the “terrible third jersey” (which, based on the accompanying tweet/photo, seems to refer to the orange third jersey) or the “even worse third jersey” (which seems to refer to the black third jersey)? Quad City Storm. Shortlist for worst team name in hockey. As if the mass noun isn’t bad enough, they render the plural city name as singular. Quad City Storm is the equivalent of a team in Nevada calling itself the El Vega Dune. And yeah, I know it’s been done before by minor-league teams in the Quad Cities, but those team names sucked too, and were abandoned when sensible people took over. RE: Mighty Ducks “Wild Wing” Jersey. Not only does it look like he’s emerging from the basement of the arena, it also looks like he’s swinging a goalie stick. Great article. You hit it perfectly with “so bad it’s good”. I really just hate that Mistral font, though. +1 for vertically arching the NOB, but -1,000,000 for the font. It isn’t the Australian federation’s badge that is forbidden to appear on merchandise, but the coat of arms of Australia. Same rule applies in rugby. Am I the only one slightly disappointed that the Fresno Grizzlies went with ‘Zamunda’ uniforms instead of a Randy Watson and Sexual Chocolate theme? Love that one Air Miami album — still a favorite here at Uni Watch HQ. How so? Or are you trolling? On the ESPN piece – going from memory, but I’m virtually certain that the NY Rangers’ blue “liberty” jersey debuted first, during the 1996-97 season. They wore it for two seasons, then rolled out the (lousy) white for one season before thankfully switching back. Yeah, who could forget the “GRETKZY” error jersey from 1997? The color commentator on Fox last Saturday (I think it was AJ Pierzynski) doing Seattle/Boston said he liked everything about Dee Gordon. Except the socks. Any thoughts on whether the Tin Caps got Disney’s permission to “use” the Incredibles logo?? I can’t find anything indicating so. No way MiLB approved that unless the licensing was shipshape. Trust me on that. Superchunk rules! Reminds me of college. PL – would you consider interviewing Dan Duffy (Philly Word Art) – his stuff is really cool and unique and he goes beyond Philadelphia sports. Can the Kings go back to their Forum Blue (Jack Kent Cooke’s way to refer to Purple) and Gold Uni’s? Please. 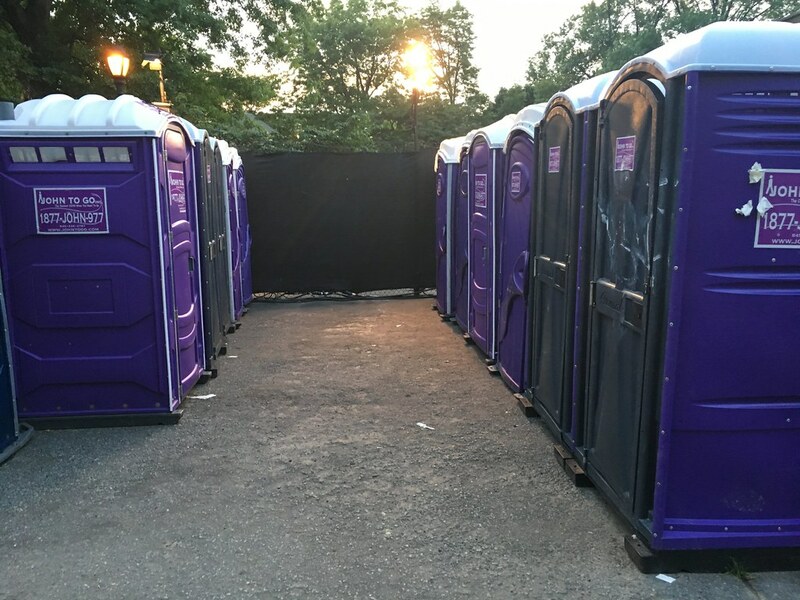 Paul, I would’ve thought you’d approve of purple on a porta-john, seeing that it’s a porta-john.